The Hudson River is one of the great rivers of the world. Not long ago, it was seriously threatened by pollution. Now, it is coming back to life as a waterway where fish and birds can thrive again - a river valued once more by communities along its shores. The environmental education program on board the sloop Clearwater, founded by folksinger Pete Seeger, has taught thousands of children and adults to love the river. With this book, river teachers bring their wealth of knowledge to a wider audience. Covering the full sweep of the Hudson's natural history and human heritage, this book introduces readers to the river's diversity of plants and wildlife, to the geological forces that created it, to the people who explored and settled its banks, to its enduring place in American history and art, and to the battles waged over its environmental preservation. This revised edition also includes new information on the importance of the Hudson's watershed, the impacts of invasive species, and the latest data on the river's toxic PCB contamination, as well as new scholarship on the river's history. 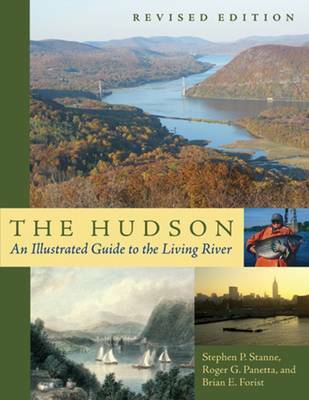 In engaging illustrations, maps, and text - distilled from the best research on the Hudson's habitat and history - this unique book invites you to explore the river yourself. Buy The Hudson by Stephen P. Stanne from Australia's Online Independent Bookstore, Boomerang Books. Stephen P. Stanne was the education director for Hudson River Sloop Clearwater, Inc., for nineteen years. Roger G. Panetta is a professor of history at Marymount College of Fordham University. Brian E. Forist is an environmental educator. For six years he was an education specialist with Clearwater.